Archive "Defensive Basketball Coaching Articles"
The goal of a good offense is to be able to run sets and create high percentage scoring opportunities. The goal of the defense is to disrupt everything that the offense is doing and either get them to turn the ball over or force up a tough shot. 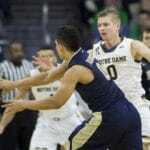 As a defense, this can be done in a variety of different ways successfully. It could be a zone, a pressure defense, pack line defense, etc. all have been successful with different teams and coaches. These defensive strategies can be adjusted according to player personnel and coaching philosophy. However, there are also defensive non-negotiables though that every great defense must have as well. Some of these are communication, active hands, positioning, etc. Regardless of strategy, these are a must. If a team is not willing to commit to all of the defensive non-negotiables, it doesn’t matter what defense they run. 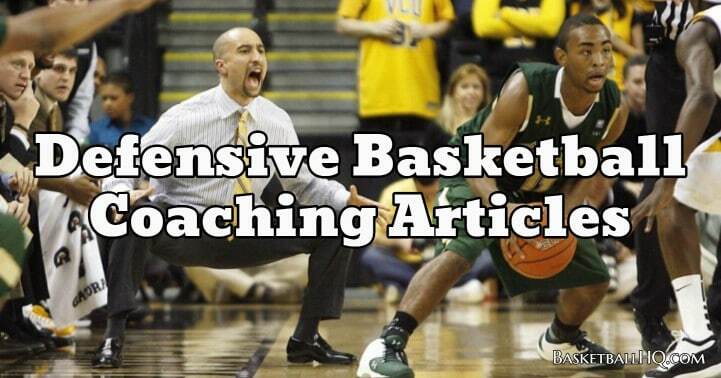 The defensive basketball coaching articles in this section are going to center around both of these areas. Some of them will focus on different defensive keys and some on strategy. 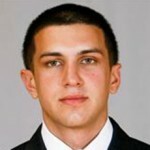 You will be able to learn from coaches that were a part of Syracuse’s 2-3 Zone and UVA’s Pack Line Defense. You will also be able to learn from coaches who have written on how to get teams to buy into all of the different defensive principles. 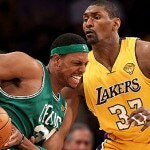 Both of these areas are going to be equally important for creating a championship level defense. 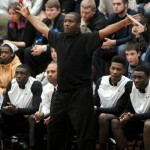 Why Defensive Basketball Coaching Articles? With the day and age that we live in, information has never been easier to access. Information on pretty much any topic is right at your fingertips. The best performers in any industry recognize this and capitalize on it. It is the same for you as a basketball coach. If you are trying to do everything on your own, it will take years of trial and error. Whereas, if you can learn from other quality coaches, you will save yourself so much time and effort. You will be able to learn from their mistakes and see what worked well for them or didn’t. This doesn’t mean that you have to take everything that another coach says as gospel either. There are plenty of experienced coaches that disagree on different areas. You can, however, read what they have to offer and measure it against your coaching philosophy. This will allow you to be able to apply what you think will work best, and disregard what you may disagree with. When it comes to defensive strategy, your schemes shouldn’t be written in stone. They should be able to be tweaked and adjusted as needed. Also, you may want to consider running several different defenses with your team. These defensive coaching articles will provide all the information that you need to do both. When it comes to coaching defense and applying any of the topics in these articles, there are a few key concepts that will help you out. The first key is going to be picking your defensive strategy. When you pick your defensive strategy, make sure that it fits your players. Not only does it need to fit the type of players you have, but it also needs to fit their level of understanding. It doesn’t matter how good your defense strategy is if your players are unable to grasp it. So start with a defensive plan that your players can master. After that, you can build onto it. Secondly, you need to make sure that you are clearly communicating what you want from your team. 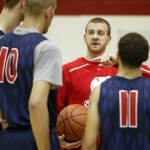 Make a list of everything that you expect from your players and then clearly explain them to your team. This will eliminate confusion and also allow you to start holding players accountable. Repetition is going to be the third key. If you want your players to be able to master your defense, they need practice at it. The more quality repetition your players can get, the better they will be able to execute. So make sure that you are budgeting the needed time for defense. When it comes to running an elite-level defense, there are a lot of keys, and some of these coaching articles will cover more of them in depth. With these three defensive key concepts though, you will be off to a good start. This article by USC's Martin Bahar is going to breakdown the 1-3-1 baseline out of bounds defense and what each player should be doing in their role. 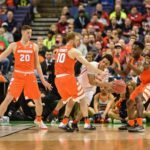 This article is going to cover 10 keys to team defense that every team should be focusing on as they develop their defense. 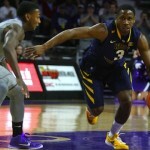 This article is going to breakdown four characteristics of every great defensive team and talk about some ways you can apply them to your team. Screens are a big part of the game of basketball, and pretty much any good offensive team sets a lot of them. This article is going to give 5 keys for defending screens. It is important that you start a good foundation when building up your man to man defense in basketball. Start out 1 on 1 and then progress all the way up. In coaching, we hear the term foundation a lot. We know what foundation means, but many times it is just a word, not something we embrace. 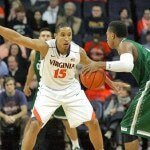 This basketball coaching article is going to explain how to down a ball screen in basketball. Other terms for it are "icing" and "blue-ing" the ball screen. This coaching article is going to cover 12 keys to a zone defense in basketball that you can use to help maximize your zone defense with your team. 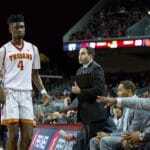 This article is written by a former Syracuse player and current USC assistant coach and it is going to breakdown the keys for playing a 2-3 zone. 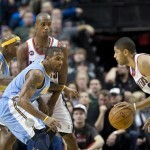 This article is going to cover preparing for late game situations on the defensive end of the floor. These situations will usually make or break a season. 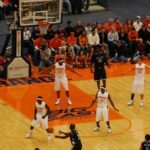 This article is going to focus on the pack line defense and give some great tips and drills that you can do as a coach to implement this defense. 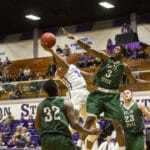 This article was written by Kansas State's Alvin Brooks and it is going to cover the topic of transition defense. Some really great principles that the Kansas State program uses. 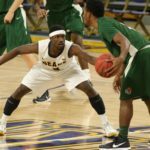 This article is going to cover 5 defensive keys that the University of Northern Colorado basketball team focuses on with their program. 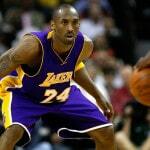 This article is going to cover the fundamentals of transition defense in basketball, and also give some tips for your team to become better at it. This coaching article by UT Martin assistant coach Jermaine Johnson is going to cover what it takes to have the ultimate team defense. 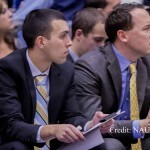 This article by USC assistant coach Chris Capko is going to talk about preparing for and executing transition defense at a high level.